Teacher planning tickets can only be used once payment for your school visit has been made and successfully received. Only redeemable Monday to Friday, these tickets are strictly for teachers of the school to conduct their pre-visit assessments.  Once you have confirmation of your paid booking, you can redeem your teacher planning tickets when taking your booking reference number and School ID to the admissions team at SEA LIFE Birmingham. These tickets cannot be booked in advance and are only redeemable on the door at SEA LIFE Birmingham.